RMS brings a commonsense, cost-effective approach to the escalating issue of water conservation and management through its innovative rainwater harvesting system designs. Our knowledgeable staff comprises the largest rainwater harvesting company in the U.S. with a combined experience of over 60 years in the business. We are the exclusive U.S. dealer for WISY filter products: the best in rainwater harvesting worldwide!? A rainwater system designed with WISY products requires minimal maintenance and never needs replacing. Never clean a filter basket or a tank again. Ever. RMS works alongside architects and engineers as experts in the fields of rainwater harvesting, stormwater management, wastewater recycling, and other water efficient sustainable systems and methods. The work/products we produce during the engagement include alternative approaches for system design, recommendations for system schematics and equipment, cost estimates for designing rainwater and stormwater systems, and system installation. RMS provides expert consulting design services in the areas of rainwater harvesting, stormwater management, and greywater recycling systems. We work with engineers and architects to develop well-designed rainwater harvesting systems that require minimal maintenance. For assistance with stormwater management or greywater recycling, please contact the Charlottesville office. At RMS, we are actively engaged in new product development to improve upon the effectiveness of existing equipment used to support water-efficient sustainable systems, as well as to develop new designs to meet the growing challenges presented in this rapidly evolving field. 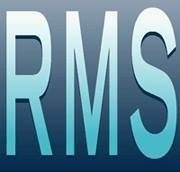 RMS now offers irrigation schedule consulting in conjunction with rainwater harvesting systems. If you plan on installing a rainwater harvesting system for irrigation purposes, our consultant can work with you to determine water needs for your landscape, how to apply your irrigation by following water conservation principles, and appropriate plant selection. For irrigation consulting, please contact the Charlottesville office.